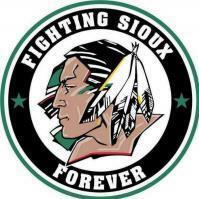 Sioux Hockey, Fly fishing, fly tying, hunting. Beer league winger, started watching and going to games in 1983 with my dad. Although see the the exploding triggered heads of the denim overall clad brethren to the south would be enjoyable.... There is possibly nothing in the world of sports as overdone, stale, and cringy as yet another team using thunderstruck pregame. This is the third time Oshie has been injured by dirty disgusting plays that resulted in ZERO supplement disipline. DOPS guys must have played against him in college or something. Id me lividly wildly irate if that kept happening to me. Oshie injured badly by a dirty dangerous slash boarding play tonight. Sounds like his season is very much done. I'm sure its not getting cheaper. I'll admit i dont know how it works for setup, if its in the rafters type equipment or centrally located in scoreboard. I know last year Jody was on the podcast and said about a million bucks. Thats a lot of money, and hard to measure a ROI id imagine. 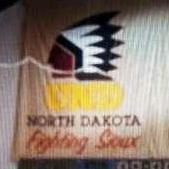 Not likley, I like how they've tried to be a little interactive on the Nodak nation app. At least its an attempt, I dont have the answer on how to merge the ice action and atmosphere with interactive app. If i did i probably wouldnt be here yapping with you peasants.. thats a joke btw. How about student prizes for on ice performance... A goal...... 20 students who are logged in on App and checked in to arena randomly win get a free tostada, or a bud light? Kill a PP 15 winners... win a faceoff a random winner. Good mix I guess, the puzzler isnthose that chit chat right through the second and maybe maken t back to their seats with 5 or 6 left in the third. It seems like the stadium... and avtion is asleep during that time. Thats a great point. Seriously, how can we find a bettrr balance between corporate and social "Be seenism" and interested hockey fans. 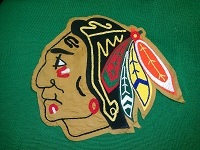 Maybe we can't... Maybe we arent as numerous or as Hockey loving as we like to portray. 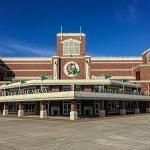 When I was thinking about this thebother day with a buddy, When was the last time you had "FUN" at a UND game, and more specifically at the REA?. '16... '11?... at the old arena? ... Its an interesting queation, thats where I'd like the thread to go. Squabbling about the logo in GF is NOT a common factor in the nationwide ambivalent attitude toward athletic attendence. Thats the reality. Seeing how UMtc is trying to at least make some changes to help their situation, and the ammenities being upgraded at the REA, are just that changes. Do they help? Not as much as winning i guess. I actually predict a surge in demand early next season as the MUST thing in GF will be being able to discuss the "new huge scoreboard" socially. .. .Next on Real housewifes of GF... "Did you see how big that new scoreboard is?" " You really cant understand how big it is unless youve been to game and seen it in person, like me, I was there" "Even if your there it just doesnt cut it in the stands, you really need to be in a suite to appreciate it, like Inwas last weekend". It will be the social event of the fall next season. I know who I want to go away. Amazing how "ALL 3" come out of the woodwork at the same time, every time, to derail every thread and chastise everyone for not falling in line with the leaders message. "All 3"... almost like.... there's only the one mind, with the same one thought, with the same way of saying it..... Your opinion is noted. Its dismissed as lunatic ranting, but noted. College athletics fan participation is not challenged nationwide because you dont see a little birdy enough in GF. Inovative ways to engage fans are evolving, its interesting to hear what people have experienced in other arenas. The birdy is never going to do what winning will do or what more accomodations to the students will or what inovative arena experiences will. You will just continue to expose and drive the wedge further between: you "3" and the rest of the world that is sick of the self righteous hatred you project on them. Instead of only white and green. what about a grey or cream based sweater for a third? And for the sake of all that is holy stay away from black for a good decade. The biggest question is what to do about the front... Regardless I believe the final design must be close to being put into production. Just one thread Lord, Just one thread without the Hawkzi Kabal of Our Lady of a Delusional Dream, hijaking it into a fire and brimstone tounge lashing for not falling into line with the demands of the their devine minority. In the name of all that holy, Amen. Big ones here all very good ideas... Yes the on ice is one thing i really would like to see, its very important. If a repaired relationship is going to exist after MK slithers out of town, Id like to see the one ice projection as the symbol of good faith moving forward.